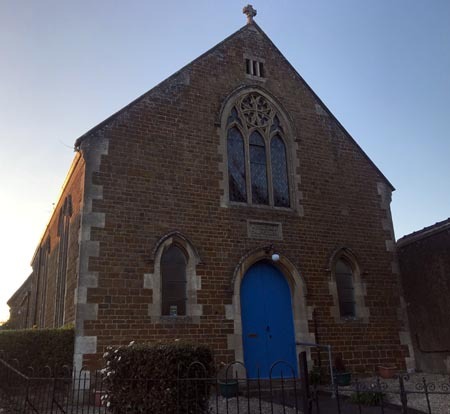 Adderbury’s Annual Parish Meeting will take place next Tuesday with traffic calming, the new community and sports facilities on the Milton Road and health and well being taking centre stage. The yearly meeting is open to anyone and those on the Adderbury electoral role are able to pose questions. The meeting is being facilitated by Adderbury Parish Council and will be overseen by Parish Council Chairman Diane Bratt, although it is not officially a Parish Council meeting. Three speakers are lined up to address villagers this year. Andrew McHugh, who currently serves as one of Adderbury’s three District Councillors, will be speaking on Health and Well-Being. Councillor McHugh is a leading member of the group working to keep services running locally at the Horton General Hospital; he was formerly the practice manager for the Horsefair Surgery in Banbury. The meeting will also hear from Jackie Head, the Chairman of Working For Adderbury Community (WFAC), the group which is currently working with Adderbury Parish Council on the development of new community and sports facilities on the Milton Road and improvements to the Lucy Plackett field. Mrs Head will give an update on the progress made during the two years since the Parish Poll which indicated support for the project to go ahead, and will report on the current state of the project’s development plan. The issue of traffic calming, together with the options available to address this, will be highlighted in a presentation by Jonathan White. Mr White has been co-opted by Parish Councillors onto the group investigating potential solutions and he will present the findings so far. Those at the meeting will also hear reports from the Parish Council Chairman Diane Bratt, Adderbury’s District Councillors (Councillors Mike Bishop, Chris Heath and Andrew McHugh) and Councillor Arash Fatemian, the village’s representative at Oxfordshire County Council. The Annual Parish Meeting will be held in the Methodist Hall next Tuesday evening (April 16, 2019) and starts at 7.30pm. The full agenda is available here. Adderbury News has invited two of the speakers at the meeting, Mrs Jackie Head and Mr Jonathan White, to give an overview of what they will be presenting on the night. We will feature their reports here over the next two nights.